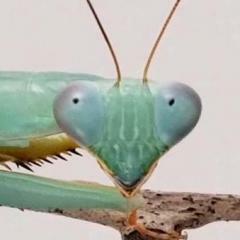 minomantis had the most liked content! Anything dealing with nature I'm very interested in! I'm bit of a nature geek. I'm also a violinist so music, specifically classical music is very much in my life. Went away for the weekend and came back to see that my male Peruvian leaf mantis molted! Pretty pumped and he is beautiful! Trying to load the female and she only seems to really want to eat flying insects. I have to get her on dubias soon!